At the Cellar Bar, TT Liquor’s latest expansion, drinks are now tippled where chains once rattled. The space, formerly a Court House police station features 19th century jail cells, which have been impeccably converted into snug alcoves. We escaped the elements and hunkered down for some plonk in the clink. 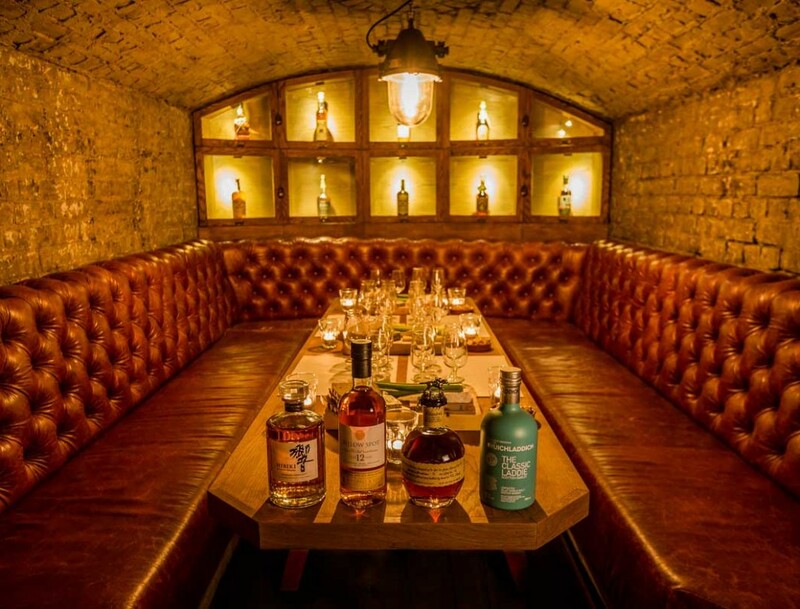 The intimate booths are the perfect setting for a journey through the ages, with cocktails designed around four distinctive eras; la Belle Époque, The Noble Experiment, Boom to Bust, and Our Time. Each era serves up two cocktails inspired by the culture, the people and the drinks of the period accompanied by selected small plates. With a designated expert mixologist on hand to walk us through the history, ingredients and context, prepare to do some serious time in this comfy, subterranean bar. This boozy voyage of tastes thankfully didn’t land us behind bars, but it damn near put us under one.